New York Times Notable Children's Books of 2017 When you go off to sleep, your toys go out to play After a long day of jumping in the leaves and reading her favorite books, this little girl is worn out, but her favorite stuffed animal, Planet, is just getting started. Once the girl goes to bed, Planet kisses her on the cheek and heads out on his own to explore. 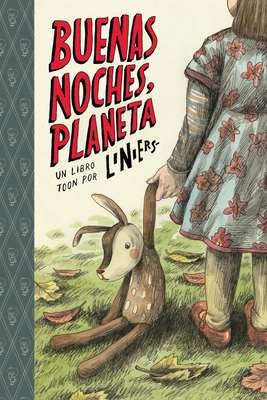 In this tender, gorgeous tale from internationally renowned cartoonist Liniers, Planet shows early readers the wonders that exist at night, in secret, after they close their eyes.